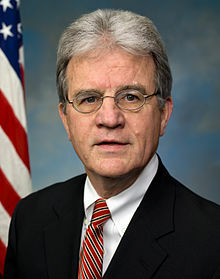 Thomas Allen "Tom" Coburn (born March 14, 1948) is an American politician and medical doctor. A member of the Republican Party, he was elected to the U.S. House of Representatives in 1994 as part of the Republican Revolution. He upheld his campaign pledge to serve no more than three consecutive terms and did not run for re-election in 2000. In 2004, he returned to political office with a successful run for the U.S. Senate. Coburn was re-elected to a second term in 2010 and pledged not to seek a third term in 2016. GOP Senate candidate in Oklahoma speaks of 'rampant' lesbianism in schools, August 31, 2004.